NSA and Britain’s GCHQ Mapping “Political Alignments” of Millions of Smartphone Users Worldwide. New information made public by Edward Snowden reveals that the governments of the United States and United Kingdom are trawling data from cellphone “apps” to accumulate dossiers on the “political alignments” of millions of smartphone users worldwide. According to a 2012 internal UK Government Communications Headquarters (GCHQ) document, the National Security Agency (NSA) and GCHQ have been accumulating and storing hundreds of millions of user “cookies” —the digital footprints left on a cellphone or computer each time a user visits a web site—in order to accumulate detailed personal information about users’ private lives. This confirms that the main purpose of the programs is not to protect the population from “terrorism,” but to facilitate the state repression of working class opposition to widening social inequality and social counterrevolution. The programs do not primarily target “terrorists,” but workers, intellectuals, and students. The legal rationale behind this process points to a growing movement to criminalize political thought in the US and UK. If, as the revelations indicate, determining a user’s “political alignment” is a primary goal of this program, then it is also likely a factor in determining whether the government has a “reasonable, articulable suspicion” that the user is a “terrorist suspect.” If this is the case, the web sites a user visits may raise the government’s level of suspicion that the user is engaged in criminal activity, and may thereby provide the government with the pseudo-legal pretext required to unlock the content of all his or her phone calls, emails, text messages, etc. Such a rationale would amount to a flagrant violation of both the First and Fourth Amendments to the United States Constitution. Not only does the Fourth Amendment protect against “unreasonable searches and seizures,” but the First Amendment also proscribes the government from monitoring individuals based on their political beliefs. The elimination of such a fundamental democratic right would be a dangerous step towards the imposition of a police state dictatorship. The new report also details the depth of the mobile-app spying operation. 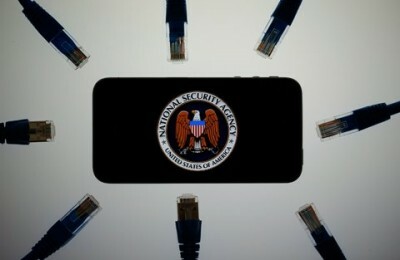 A 2009 “brute-force” analysis test performed by the NSA and GCHQ of what the New York Times describes as a “tiny sliver of their cellphone databases” revealed that in one month, the NSA collected cellphone data of 8,615,650 cellphone users. Data from the GCHQ test revealed that in three months, the British had spied on 24,760,289 users. Expanded to a full year, this data shows that in 2009, the NSA collected data from over 103,000,000 users, while GCHQ collected data from over 99,000,000 users: and this coming from only a “tiny sliver” of a month’s data! “They are gathered in bulk, and are currently our single largest type of events,” one leaked document reads. An NSA report from 2007 bragged that so much geo-data could be gathered that the intelligence agencies would “be able to clone Google’s database” of all searches for directions made via Google Maps. “It effectively means that anyone using Google Maps on a smartphone is working in support of a GCHQ system,” a 2008 GCHQ report noted. The agencies also use information provided by mobile apps to paint a clear picture of the victim’s current location, sexual orientation, marital status, income, ethnicity, education level, and number of children. That the intelligence agencies have cheekily nicknamed codes in an Orwellian surveillance program after animated characters from a children’s show is a telling indication of the contempt with which the ruling class views the democratic rights of the population of the world. Additionally, the agencies have been tracking and storing data from a series of cellphone game applications, including the popular “Angry Birds” game, which has been downloaded over 1.7 billion times. The tracking of data from online games like “Angry Birds” further reveals that these programs are not intended to protect the population from “terrorism.” It would be indefensible for the NSA and GCHQ to explain that they suspected to glean information about looming Al Qaeda plots from a mindless cellphone game. Yet this is precisely how the NSA has attempted to justify these programs. In an added indication of its anti-democratic character, the US government is therefore employing the technique of the “Big Lie” by denying what has just been proven true. In reality, the revelations have further exposed President Barack Obama’s January 17 speech as a celebration of lies. But the evidence is mounting that the governments of the US and UK are compiling information regarding the “political alignments” of hundreds of millions across the globe. All those responsible for carrying out such a facially anti-democratic campaign—including President Obama, David Cameron, their aides, and the leaders of the security apparatus—must face criminal charges and immediate removal from office.